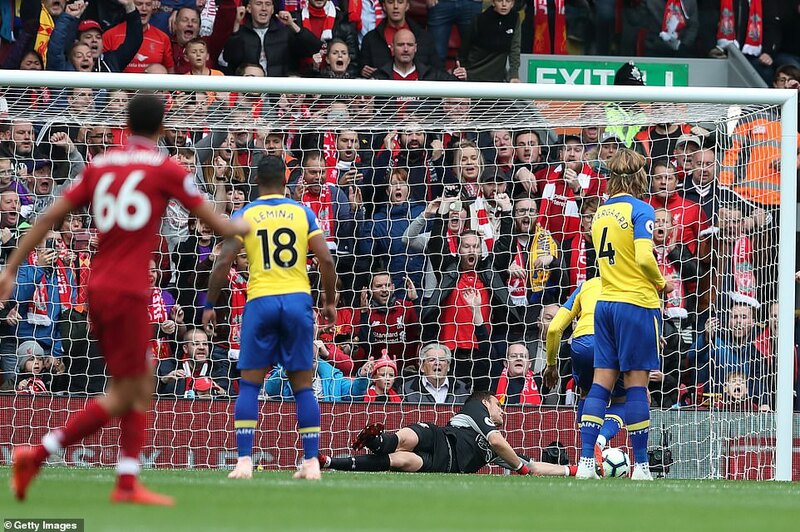 The expectations have had a habit of suffocating the life out of Liverpool at moments like this. The absence of a league trophy these past 28 years has created what Jamie Carragher once described as a ‘gaping, lingering void’ and just a few wins – never mind the opening seven games for the first time in the club’s history – does something to the dreamers in such a profoundly optimistic place. 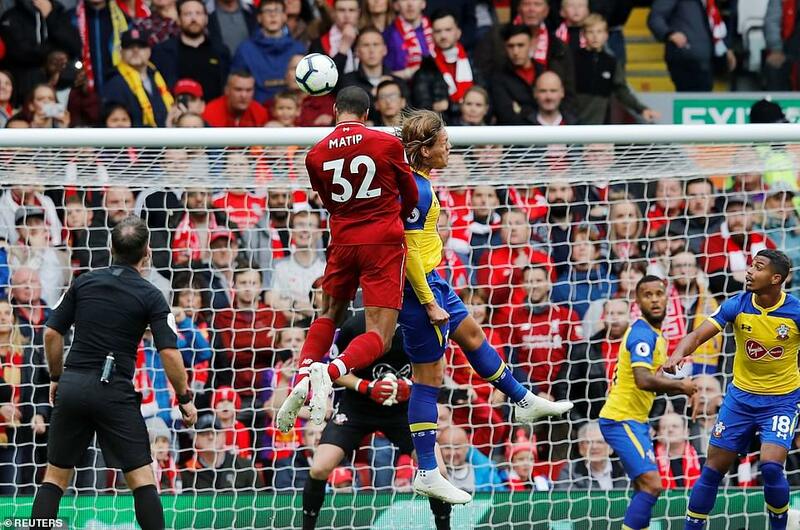 It’s why the composure was just as significant as the points, as the club equalled their best ever start to a league campaign since Bill Shankly was pulling up trees in the old Second Division, 57 years ago. 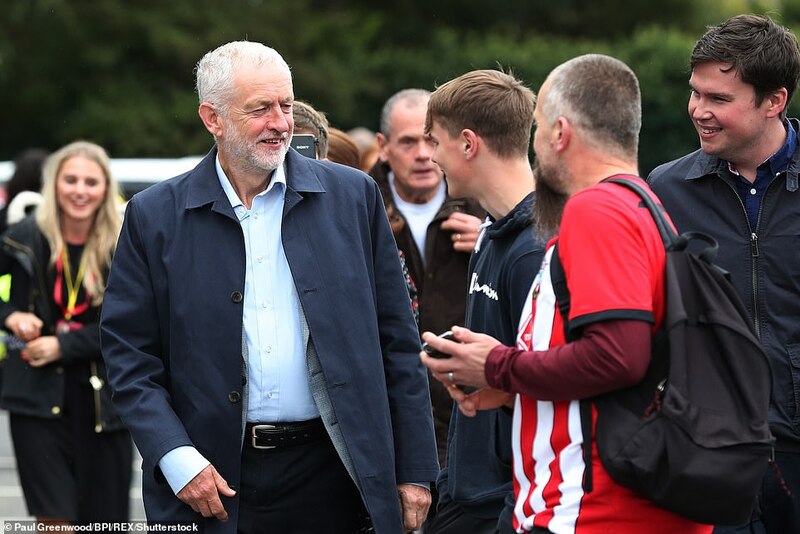 The exertions of overcoming Paris Saint-Germain did look to have taken a toll for a side whose preparations were limited by Storm Ali battering Melwood at their designated training time on Friday. There was a setback: Virgil van Dijk departing ten minutes into the second half after taking a blow to a rib which he had been suffering soreness with before Tuesday night’s match against the French. Yet the difficulties were brushed aside. 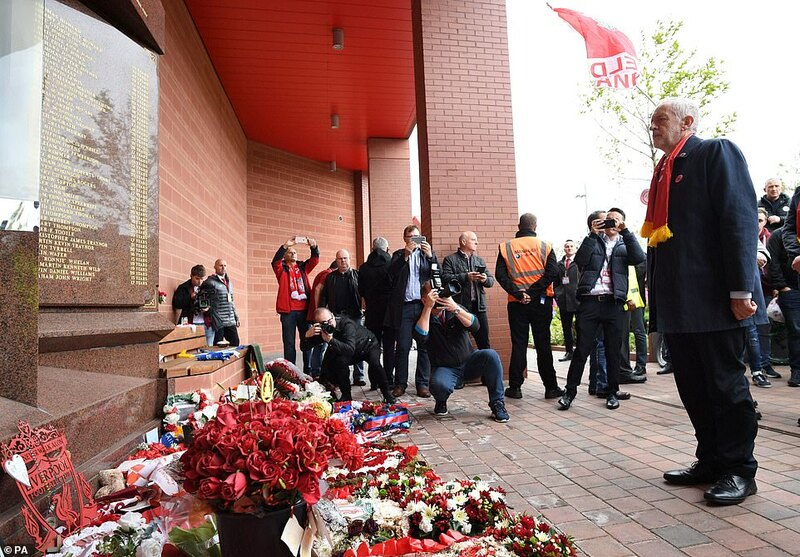 It became an exercise in game management, rather than the kind of football exhibition for which Klopp is known. 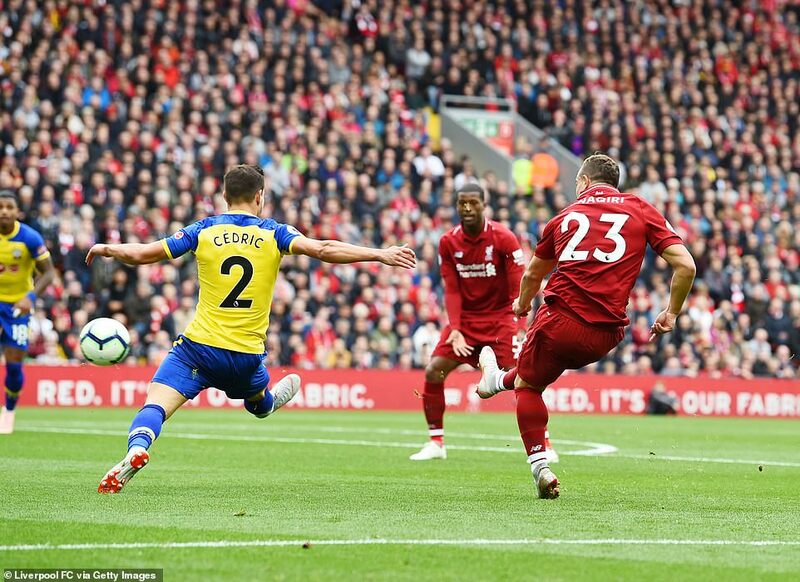 The manager played his part, removing Xherdan Shaqiri at half time having concluded that the player’s considerable contribution, in his first start for the team, was to the detriment of keeping Southampton out. 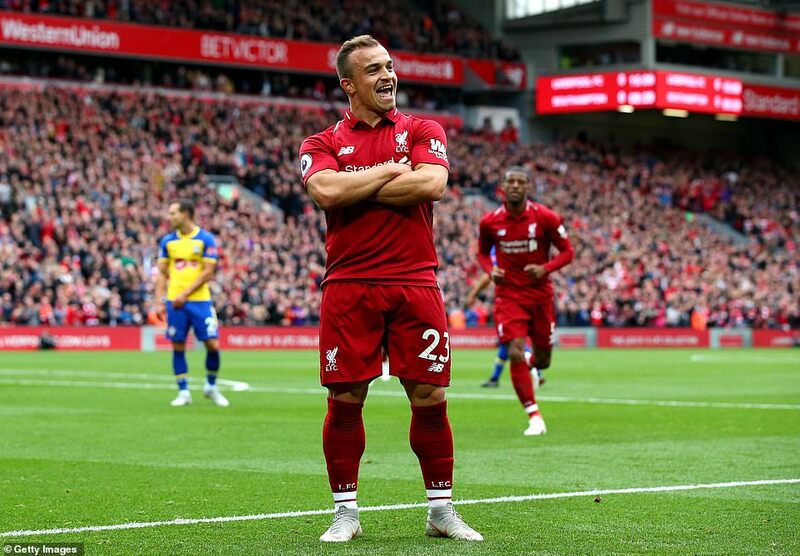 Shaqiri had played a big hand in two of Liverpool’s three goals by then. 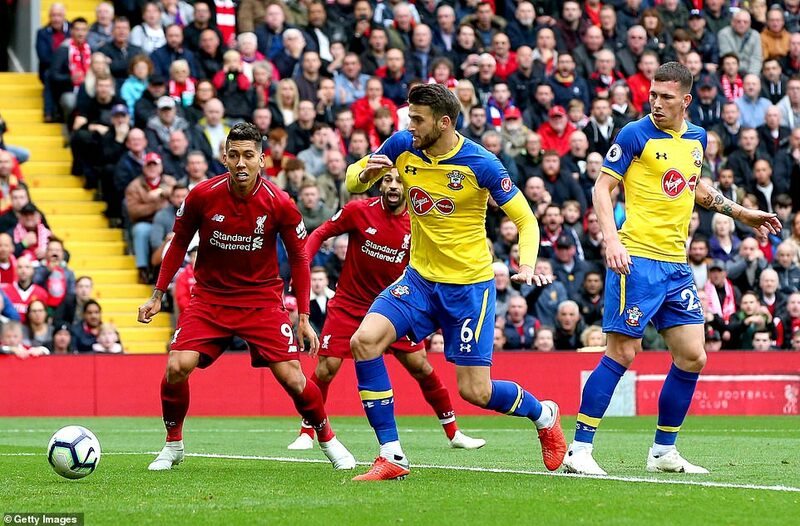 The Swiss had been rewarded for his endeavour inside ten minutes when his shot from the left side of the area pin-balled in off Shane Long and the knee of Wesley Hoedt, though Sadio Mane’s subtle contribution to the goal was more significant. Meandering away from goal with the ball at his feet, Sane turned, shaped back the way he had come, and slid the pass inside Cedric which Shaqiri could pick up. 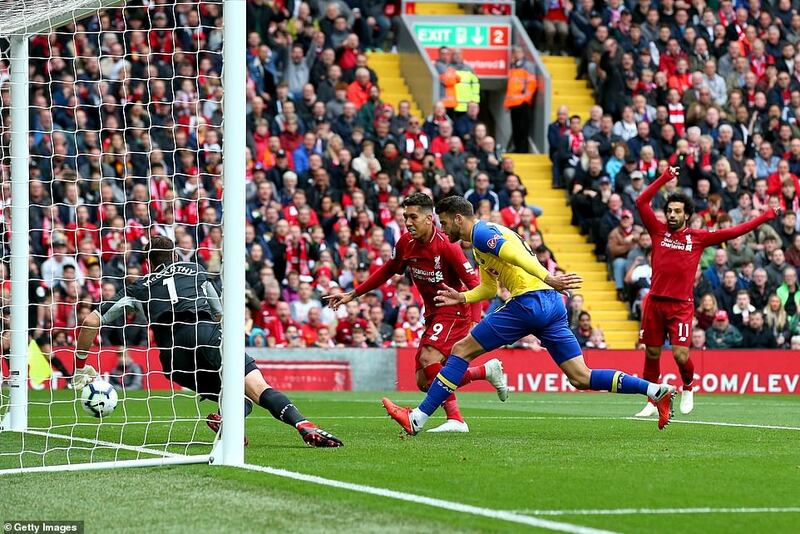 It was, in every sense, the game which shone a light on the depth of Liverpool’s strength. 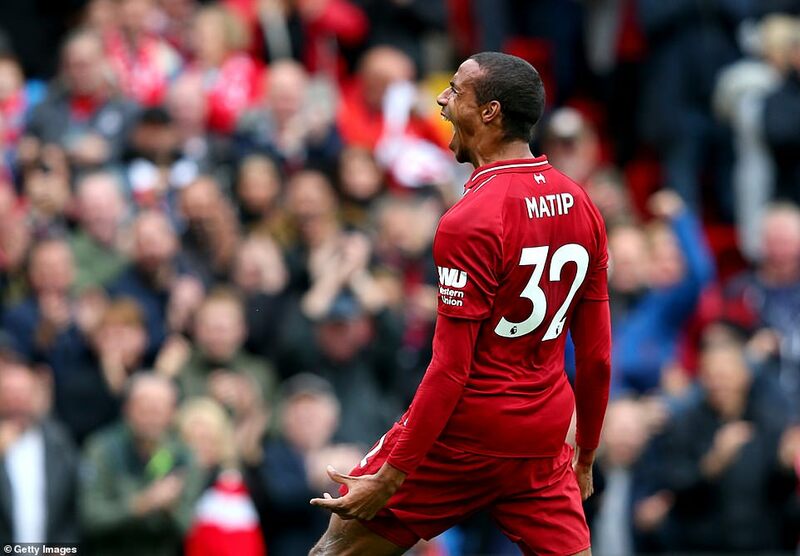 Joel Matip had already made a significant impression on his own first start of the season before sending Trent Alexander-Arnold’s 21st minute corner high beyond Alex McCarthy with a header of first class accuracy. 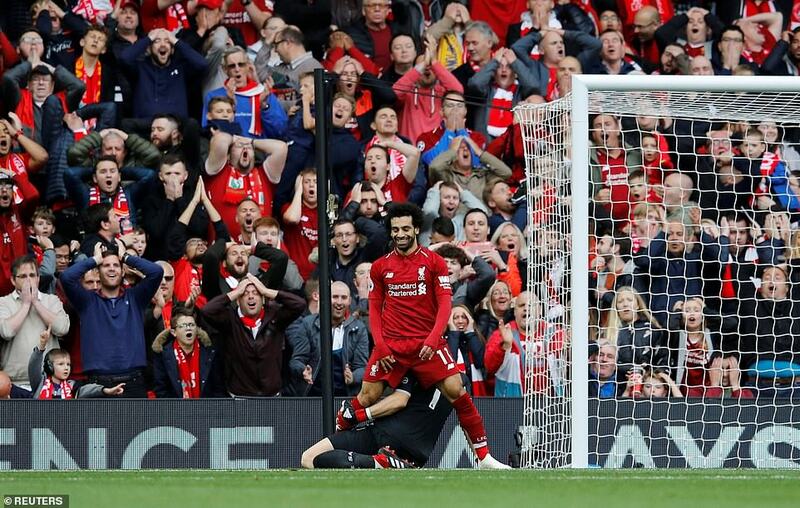 Mohamed Salah contributed significantly, shrugging off his own albatross and rediscovering that smile, wide as the Mersey, having accelerated ahead of Cedric Soares after Shaqiri’s free kick bounced down from the cross bar and score the third. 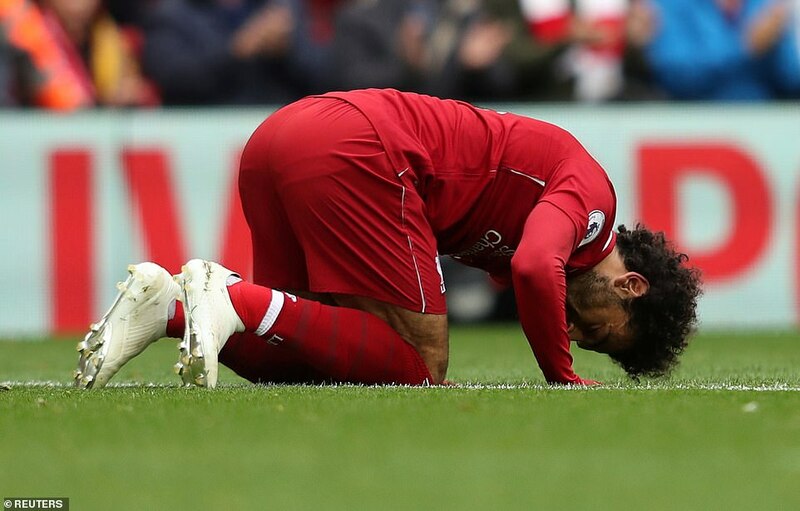 Salah was Liverpool in microcosm: flashes of sublimity, like an effort with the back his left heel after he’d rounded Jannik Vestergaard which trickled an inch wide, yet struggles, too. 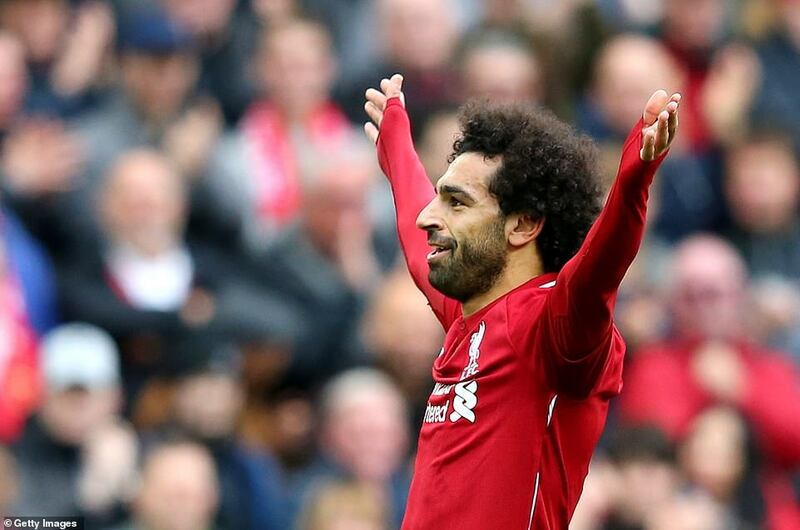 The Kop’s first half Salah anthem was sung more in empathy than euphoria. A significant subsidiary narrative belong to Virgil van Dijk, who reminded Southampton how monumentally much they miss him. A 40-yard diagonal pass for Mane to take down from the sky. A calmly placed challenge to take the ball from Shane Long’s toe on a brief early incursion. 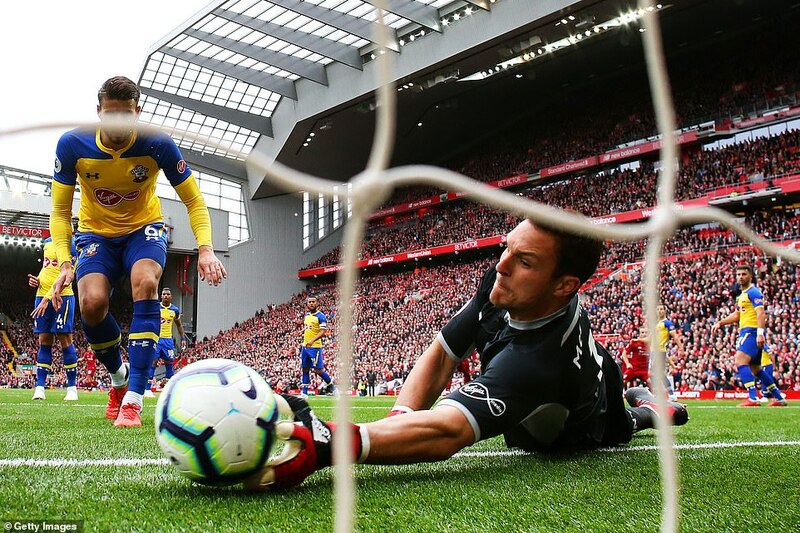 A sharp word for Alisson Becker after what he seemed to consider a lack of command in the Liverpool box. But there was defensive fragility everywhere you looked in Mark Hughes’ ranks. 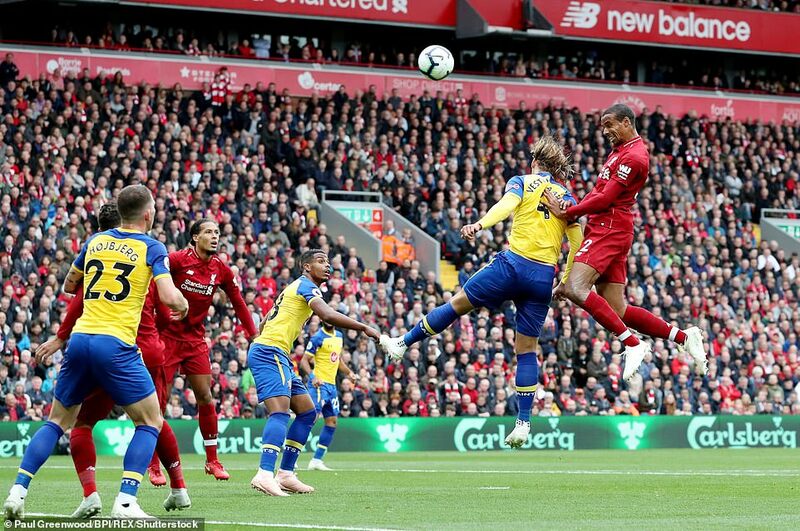 Vestergaard was comfortably beaten to that header by Matip and the speed of reaction to the free-kick which Salah seized upon was poor. Not for the first time, a Hughes team parading genuine attacking intent – Nathan Redmond delivered consistently well from the right and Long was an intermittent threat – looks terribly weak at the back. 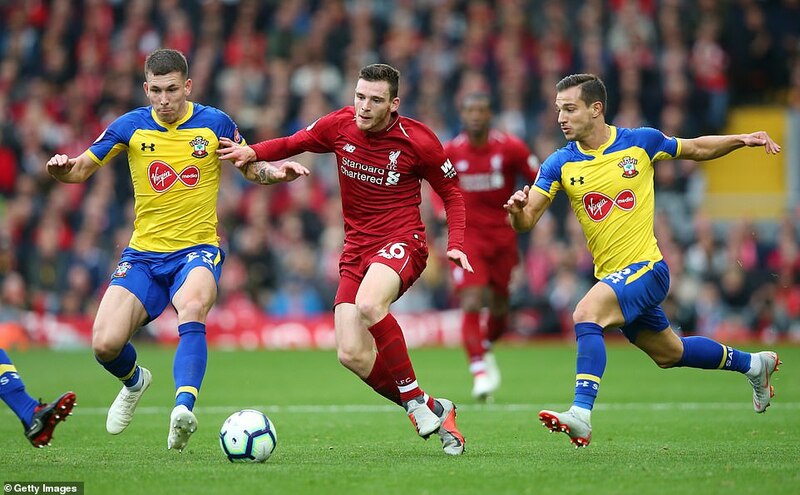 James Milner’s introduction in the second half compressed Southampton yet more, even though, as Klopp related, it didn’t feel ‘like Spring’ for him either. 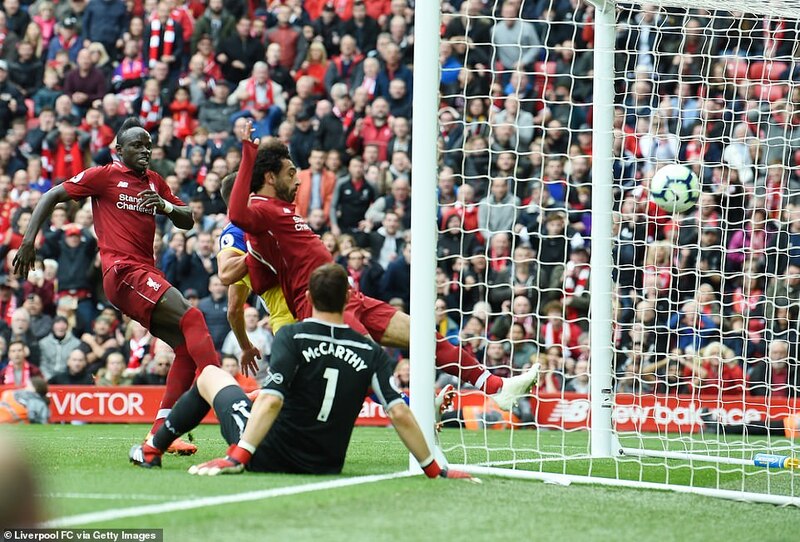 Salah was correctly adjudged offside after firing in rebound when Milner’s shot was cleared off the line, though the occasion was over long before the floodlights illuminated it. Klopp said he had certainly not expected this record start. ‘Yes, it’s a surprise,’ he grinned. ‘I lost seven in a row once in my life but that felt different but won game eight 5-0.’ When Shankly’s side last began a season like this, in 1961/2 they won 10 and drew one of their first eleven, though the challenges up ahead are very substantial: Chelsea, at Stamford Bridge on Saturday, and Manchester City eight days later.